Bay Area residents are anxiously awaiting the scheduled opening of the Bay Bridge shortly after the Labor Day weekend. The dismantlement of the old eastern span has begun in earnest as workers put the finishing touches on its gleaming new replacement. But as the region’s anticipation builds for the public use of the new bridge, a recently settled wrongful death lawsuit suggests an ill-advised design, poor communication and haste may have been behind an accident-prone temporary stretch of the old eastern span. As reported by the San Francisco Chronicle, documents from the lawsuit reveal that Caltrans managers never green-lighted the dangerous design of the Bay Bridge’s S-Curve, a stopgap section of the old eastern span with tricky sharp turns that was the scene of a fatal accident on Nov. 9, 2009, in which a Hayward truck driver fell 200 feet to his death after his big rig swerved and heaved over the railing, plunging to Yerba Buena Island below. The documents from the lawsuit filed on behalf of the family of the deceased truck driver went on to say that Caltrans officials approved the use of movable concrete rails in spite of a known risk that vehicles could go over the side of the rails. Motor vehicle crashes on the S-curve spiked in the weeks after it was completed for public use, and Caltrans sought to mitigate the perilous nature of the S-curve by imposing a slower speed limit and then installing “rumble” strips. The lawsuit accused Caltrans of negligence in setting up a “concealed trap” by requiring motorists to negotiate the very sharp, unbanked turn of the S-curve while driving over a roadway with narrow lanes and shoulders as well as a substandard railing. The lawsuit’s documents also show that the S-curve, which was designed in 2003, fell short of freeway standards set by the American Association of State Highway and Transportation Officials (AASHTO). Caltrans had hitherto heeded guidelines set by the AASHTO, but proceeded with construction of the S-curve after waiving the organization’s restrictions and subsequently tightening up the curve’s turns. However, plans for tightening the S-curve were not blueprinted by the curve project’s original engineer, but instead by a different Caltrans engineer who, a deposition from the lawsuit states, never discussed the changes with the original engineer. The S-curve’s tightening is at the heart of what senior Caltrans officials said they never approved. Perhaps the most disheartening narrative to emerge from from the lawsuit documents, though, was the one strongly implying that Caltrans officials hastily proceeded with installation of the S-curve – in spite of its apparent shortcomings – because the agency was motivated by a desire to save money and time. Even as the wrongful death lawsuit on behalf of the ill-fated trucker was relatively complex, one of the elements behind wrongful death death statutes is pretty straightforward: a tortfeasor has committed a tort against a victim, causing the victim’s death. 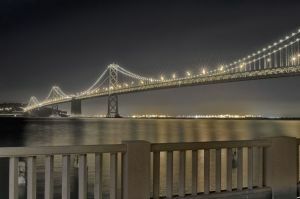 Not all wrongful death lawsuits are as high-profile as the one linked to the Bay Bridge’s soon-to-be-demolished S-curve, but all such cases require skilled legal representation. The attorneys at the Brod Law Firm have extensive experience in the personal injury practice area, including those cases involving wrongful death. If your loved one has been the victim of a wrongful death please contact the Brod Law Firm for a free consultation.